Today, I’d like to do something a little bit different. What I’d like to do is explain this great Mystery of the Incarnation – this great mystery of the Word of God becoming flesh (cf. Jn 1:14; CCC 461) – by using an extended movie analogy. The movie I have in mind came out about a year ago. It’s made by Disney and it’s made about $1.2 billion worldwide. 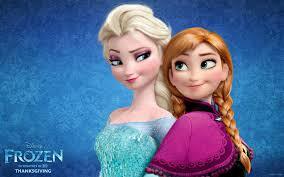 The movie I’m talking about is called Frozen.